Here is just a few possible use cases for CATIA Composer showing some nice examples in Sales and Marketing, Quality Assessment, Customer Support and Services, Manuals and Technical Documentation, and Engineering and Manufacturing using imported PMI from CATIA. BTW, We are still looking for customer demo videos, possible tips or any other Composer skills you would like to highlight. One Customer has just submitted one and I’ll be posting it soon. Come on, lets see what you got, show off your skills impress your co-workers. You probably noticed some changes when you got to 3DMOJO. New logo and colors, whats up? 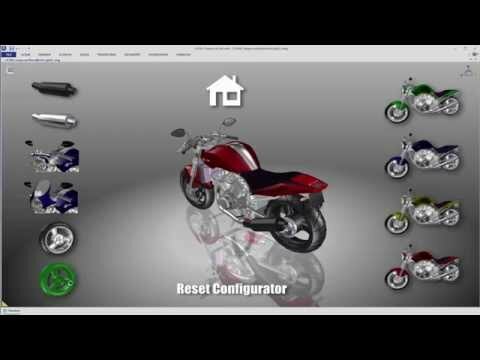 You might say, “but I’m not a CATIA user.” Not to worry, its all good 3DVIA Composer is now called CATIA Composer. This is an exciting development which promises to be help for all Composer users. CATIA is Dassault Systèmes’ pioneer brand. It is the world’s leading solution for product design and innovation. As Composer is professional content authoring software for the communication of engineering data, it makes sense to bring it into the CATIA family. In the past I’ve shown some fluid techniques with http://www.3dmojo.com/2008/05/15/3dvia-your-ipod-70-simulating-fluid-flow-in-a-tube/ This episode shows some nice tips if you are going to use 3rd party composting packages.Using selection sets to help render out layers gives you added flexibility and control. Composer has many useful functions to help your authoring processes faster and more enjoyable. The first function I would like to introduce is “Select Instances” that can select all the same geometry referenced in several positions of the model. With this function, you can select multiple instances with just one click. Then, select Transform > Multiple Gizmos and Local Transform. Multiple Gizmos will display the axis arrows for each part selected in the previous operation. This will visualize the direction of the possible part movements. Please note that the green arrows are directing outward for each tire. Discover how to shorten production, minimize overhead and surpass your competition by creating modern assembly instructions with 3DVIA Composer. Share with us how 3DVIA Composer has helped you in your daily missions ! Don’t forget about Custom Rendering. Win friends, influence people, look like a big time illustrator, whatever reason you can think of, custom rendering in 3DVIA Composer is easy and a powerful way to highlight specific parts and produce cool illustrations. If you have not tried it yet, you should. 3DVIA Composer has 2 main conversion types available: Monolythic mode and FullyShattered mode. So what is the difference between these 2 formats type? What is the best methodology when facing large data conversions? Let’s try to discover that out. Monolythic files are actually archive file (a .zip file) containing the structure and its associated authoring features such as labels, arrows, views, properties, animations etc… It is one single file. Today’s diverse workforce’s presents unique challenges when creating assembly and service procedures. Not everyone speaks or understands the native language. This challenge is also true for global sales and marketing content – how do you efficiently create compelling content in multiple languages? 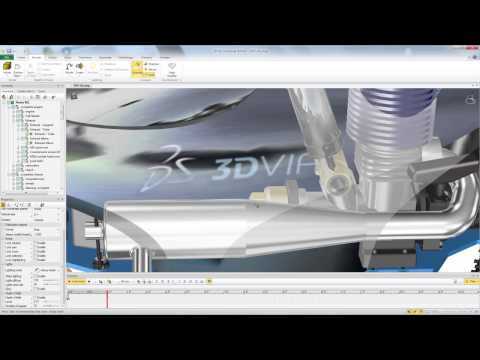 3DVIA Composer’s powerful linking and intelligent views capabilities provide an easy solution. Enjoy! Tom Dixon and Dassault Systèmes have teamed up to create the first open design competition based on a modular concept. Tom Dixon will give participants access to the design files of new products, and challenge them to re-configure and remix into different functional objects. The concept is also relying on the fact that the various parts and “joints”, may be 3D printed to give life to the final creation. The 3DVIA Composer users would probably be very happy to know that part of the competition is dedicated to creating the mounting & dismounting instructions of the participant’s creation! The contest has started on April, 8th and they will accept submissions until June, 30. The winner will be chosen by the jury on July, 31st. What started out as demonstration of AMD’s FirePro graphics card performance with 3DVIA Composer turned into a full-blown partner demo with Dell and AMD. This year’s Collaboration and Interoperability Congress event will be held May 23-25 in Denver, Colorado. 3DVIA will be there in full force just like in previous years, to engage in conversations about improving the usability of 3D data in downstream applications and usages. Be on the lookout for Gideon and Kyle to answer any of your questions! …brings together experts and executive decision makers from automotive, aerospace, heavy equipment, electronics and other discrete manufacturing industries, along with representatives from government and the defense community. Yes, the blog has been quiet recently… it’s been a pretty busy spring, we are preparing an exciting new product release for June. We continue to provide nice innovations and new tools to help you get your job done more quickly. Expect a lot of activity, along with the new release of 3DVIA Composer, we have been creating a LOT of video tips over the past year, and they will be available very soon. In the meantime, did you know that 3DVIA has a powerful gaming engine, that can be used for both casual gaming, as well as “serious games”? And did you know that it has some very interesting uses in the Life Sciences industry to help people learn about health concerns and to actually help them with phobias and other health challenges? 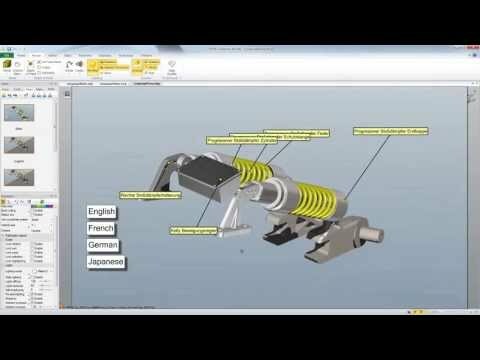 Thanks to the SolidWorks team for their input in this video. 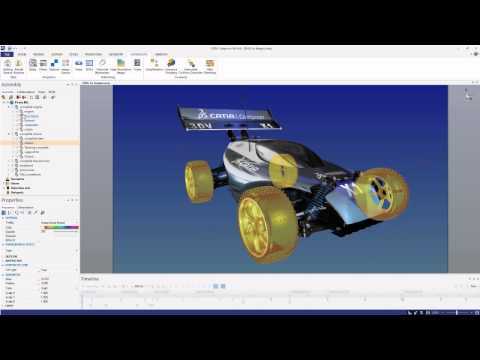 Jeremy Luchini designed the Hot Rod electric car model in SolidWorks, which you can see here on 3dvia.com. 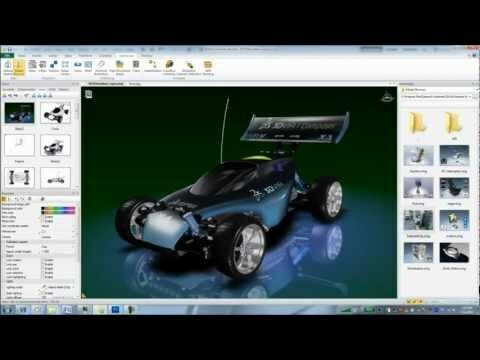 If you want to see more videos from SWW 2010, go here to the SolidWorks YouTube page. We’re here in Orlando at the inagurial Dassault Systemes Customer Conference. We’ve got a full day of 3DVIA topics on Day 2 (Wednesday) covering everything from marketing, assembly, tech pubs, and virtual training. For regular updates, check the DSCC twitter feed, as well as the 3D Perspectives Blog. I was just watching the “Texturesaurus Rex” texturing tutorial on 3dvia.tv. Then I saw a tweet from @SolidWorks announcing the winner of the Week 3 Photoview 360 2010 Beta Rendering contest and had to take a look. To my pleasant surprise, I saw something familiar! Nice work by Scott Woods! Congrats. FULL DISCLOSURE NOTE: I had nothing to do with picking the winner! Komatsu Forest chooses 3DVIA Composer! They will initiallyÂ be using 3DVIA Composer for assembly instructions, to help leverage their CATIA data and provide enhanced assembly documentation and communication. ThisÂ will speed the time to manufacture as well as improve overall quality. These types ofÂ benefits –Â Â enabled by Composer — will naturally progress into extended uses in service and maintenance documentation, dealer and operator training, and marketing.